Where do I find archive music in the Proud Music Library? Archive music is already finished produced music that is used especially in the soundtrack of industry films, TV movies and movie films, commercials, etc. To start with, archive music was given as a CD collection to editors and producers. Nowadays, archive music is found in online libraries, such as the Proud Music Library, for example. Posted on 10. November 2015 20. 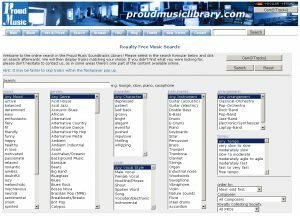 June 2017 Categories FAQ, GlossaryTags archive music, production musicLeave a comment on Where do I find archive music in the Proud Music Library? Everybody is getting pumped up for the 2012 Winter Olympics, and so are we! Listen to Nils Bergholz’ title “Dirt Gun” on the 2012 Winter Olympics Teaser (dtp entertainment for PC, Wii, and Nintendo 3DS). It is a great example of guitar frenzy that comes from the Indie Punk Rock. Audacious. Dynamic and vibrant. Available in the Proud Music Library. The Proud Music Library has grown again. 1,500 new tracks have been added since July 2011. Right now, there are 17,212 songs online, of which 5,449 are royalty free titles. Through the expansion of production music content, the variety in common genres increased exponentially. In numbers: 1,600 songs in the pop category, round 1,200 tracks in the rock category, or plentiful 2,160 music titles of world music. The subgenre has also gained certain attractiveness. For example, there are currently 171 Christmas songs in the program. In the meantime, many music titles are delivered with loops and edits. In addition, the different loops and edits (15-60 seconds) are provided for the client as a zip file. Music to be proud of! Every week, Proud Music Library adds 40 to 100 tracks to its collection. If you click on the search button under the menu tab, you can see how many we offer at this time. Through this search, you have access to all titles available, and may also verify the actual number of titles. 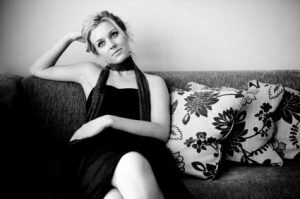 Here, you may also obtain a general idea of which titles are licensed as completely royalty free music. Posted on 27. June 2011 27. June 2011 Categories FAQ, General, General Questions, Music ResearchTags production music, Proud Music Library, royalty free, royalty free music, Tag hinzufügen, update, websiteLeave a comment on How many music titles does the Proud Music Library include? A summary of good reasons for using the Proud Music Library are explained on our info page. Posted on 2. July 2009 1. 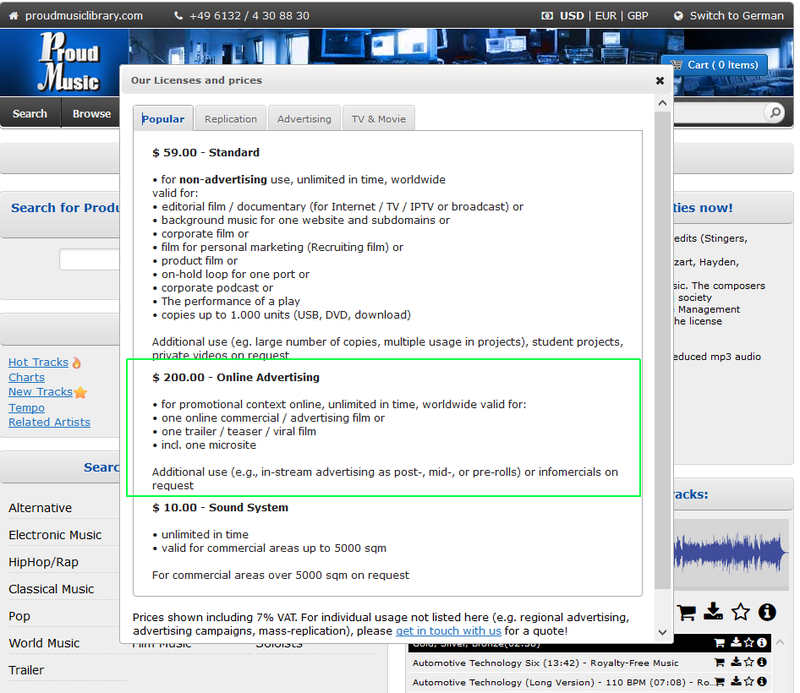 July 2009 Categories FAQ, General QuestionsTags online advertising campaigns, online licensing, production music, royalty free musicLeave a comment on What are the advantages of the Proud Music Library?